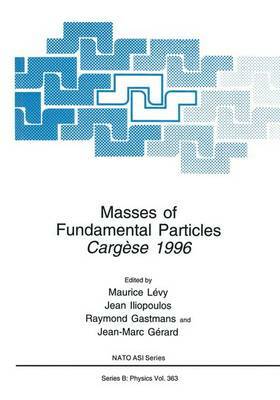 The 1996 Carg~se Summer Institute on Frontiers in Particle Physics was organized by the Universite Pierre et Marie Curie, Paris (M. Levy), the Ecole Nonnale SupCrieure, Paris (J. lliopoulos), the Katholieke Universiteit Leuven (R. Gastmans), and the Universite Catholique de Louvain (J.-M. Gerard), which, since 1975, have joined their efforts and worked in common. It was the twelfth Sunnner Institute on High Energy Physics organized jointly at Carg~se by three of these universities. The Standard Model for fundamental interactions is constructed on two essential ingredients: the gauge symmetry and the mass generation mechanism. Now that the gauge theory aspect has been finnly established, the new challenge for the young researchers in elementary particle physics is the understanding of the origin of the masses. The standard Higgs mechanism is believed to be responsible for generating the masses of ALL fundamental particles. Professor D. Treille discussed the prospects for Higgs boson search and described the experimental determinations of the gauge boson masses. The influence of the top quark mass on electroweak processes has been emphasized by Professor J.L. Rosner, while Professor M. Neubert introduced the heavy-quark effective theory which allows you to get rid of heavy-quark masses. The theoretical determinations of the light- quark masses have been critically analyzed by Professor H. Leutwyler. Professor A. Pich presented the various experimental tests on lepton universality and Professor R.L. MBssbauer reviewed our present knowledge on the neutrino masses.